Margaret Alice Wagner, 95, of Alpena, went home to her Lord and Savior Saturday, July 22, 2017 at Turning Brook of Alpena with her family by her side. 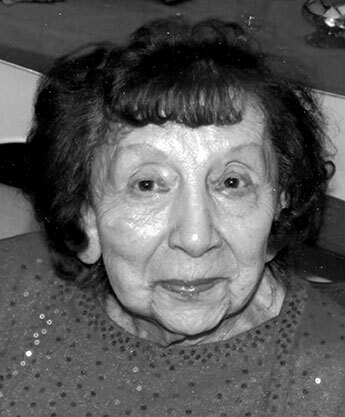 Margaret was born January 29, 1922 in Krakow Township to Stephen and Bertha (Blemke) Weise and had been a lifelong resident of the area. She married Harold Wagner February 6, 1943 at Immanuel Lutheran Church in Alpena. He preceded her in death February 10, 1993.
in the Ladies Aide, Lutheran Women’s Missionary League, the German Pantry, numerous Bible classes and assisted at numerous funeral luncheons over the years. Surviving is her daughter, Carolynne and her favorite and best-ever son-in-law, David Schaedig of Rogers City; three grandchildren; Todd (Carolyn), Chad (Heather) and Kevin (Karrie); five great-grandchildren, Zachary, Benjamin, Abigail, Ashlyn and Braeden; two sisters-in-law; Marie Schelley and Diane Wagner; and numerous nieces and nephews. She was preceded in death by a sister, Mabel Weise; and a brother and sister-in-law, Harry (Mary) Weise. Margaret Wagner was at McWilliams Funeral Home – Alpena where visitation was Wednesday from 5 to 9 p.m. with a prayer service at 7:30 p.m. and today (Thursday, July 27) at Immanuel Lutheran Church from 10 a.m. until the time of the funeral service at 11 a.m. with the Rev. James Erickson officiating. Interment will be at Evergreen Cemetery. Memorial donations may be made to Immanuel Lutheran Church, Hospice of Michigan or the Charity of friend’s choice. Online condolences may be registered at www.mcwilliamsfh.com.